Designed for feet that don't hurt. Providing a performance fit for skiers on varied to difficult terrain who wear rental or custom fit boots and who prefer natural fibers and moderate cushioning. Also suitable for Cross Country, Ski Touring, and Telemark Skiing. "Good product at attractive price." 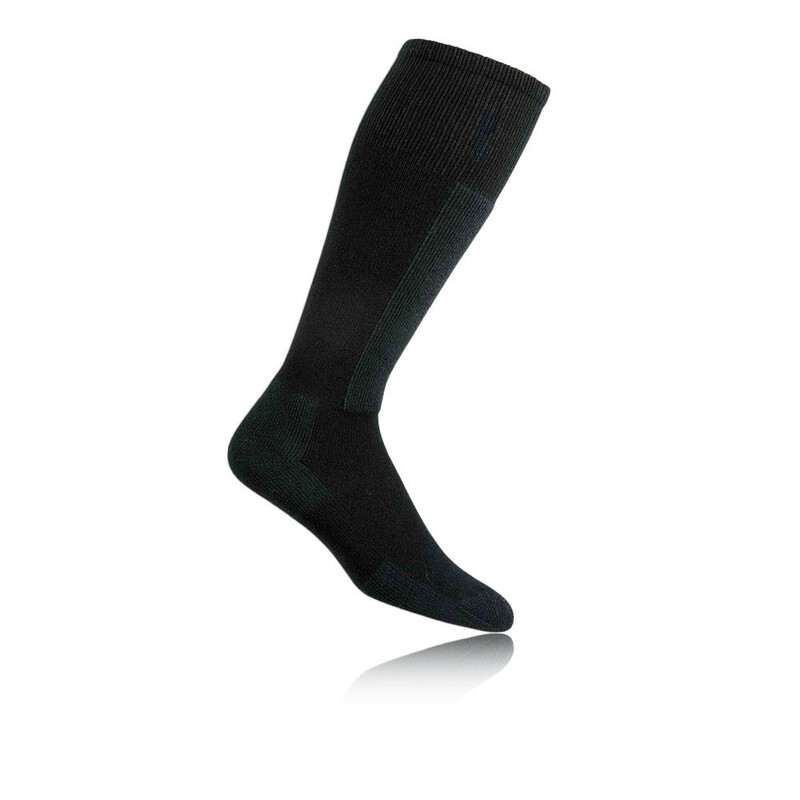 Established in the early 1980's, Thorlo strives to help prevent foot conditions through the use of providing specifically engineered socks for all your sporting needs. A family run business, Thorlo's passion and purpose is to be the caretakers of the worlds feet. Millions of people's feet are hurting, but no two feet are ever the same. Therefore, Thorlo create footwear solutions that are perfect for your individual situation. What differentiates Thorlos from all other socks on the market today is their clinically-tested padding. It is their core technology and key to the protection and comfort you experience when wearing Thorlos clinically-tested padded socks. The padding density varies, depending on the part of the foot that needs protecting. Where the shear and impact forces are extreme-usually in the ball and heel-the padding will be more dense to buffer against those forces, reducing the causes of foot aches and pain. Clinically tested, Thorlo offers many different products for various different sports such as running, tennis, basketball and skiing, and aims to be the best in the world at providing great value foot protection. THOR-WICK® - This unique fibre delivers enhanced moisture wicking for a direr, warmer, better feeling fit. Flat knit instep - For better fit and ventilation. Unique padding in ball and heel - For shear protection and comfort. Cushioned in arch - For better fit. Cushioned shin - Protects from boot pressures.